Today’s temperatures will stay between the mid 50s and mid 60s across our region. 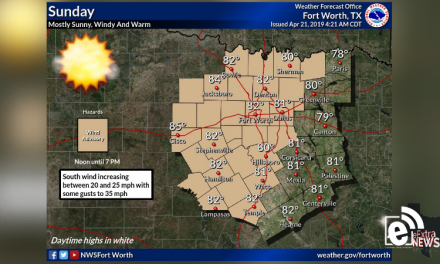 Cloudy skies will stick around for the day with a few breaks possible in the west. 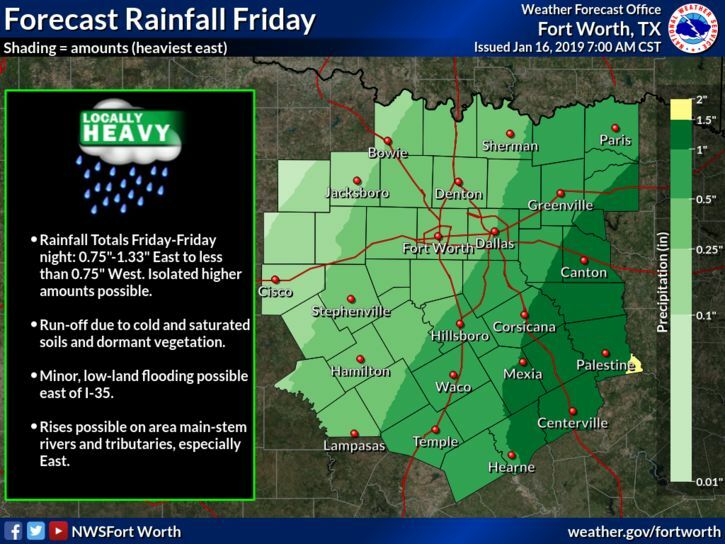 We may experience some heavier rainfall Friday and Friday night however the heaviest amounts between, 1-2 inches, will occur along and southeast of a Sulphur Spring-Corsicana-Cameron line. 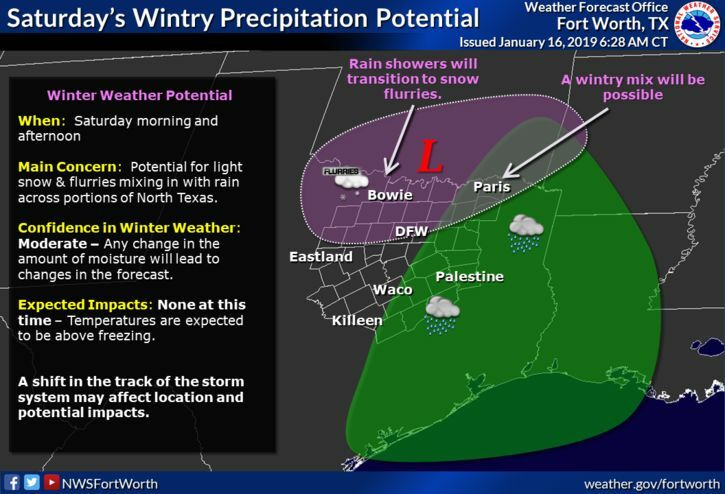 This could change before Friday, continue to stay alert for more weather alerts as Friday approaches. 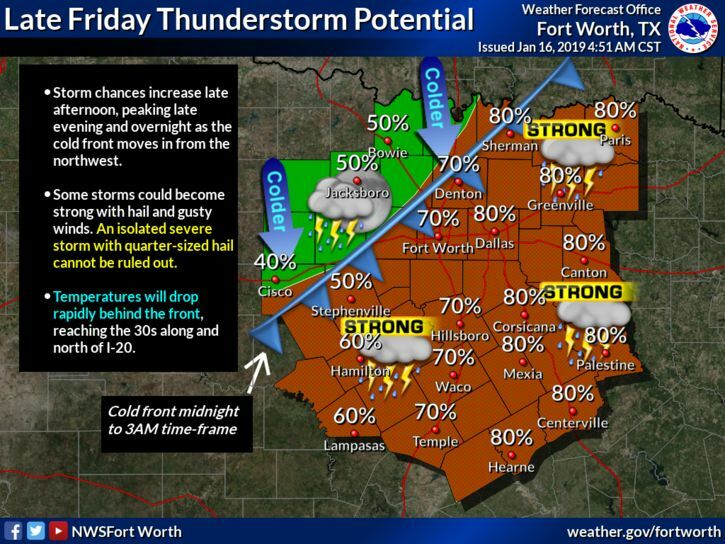 At the moment, the forecast shows a strong upper-level storm system bringing increasing chances for showers and thunderstorms late Friday afternoon through Friday night. A few storms could become strong with hail and gusty winds, though an isolated sever storm with quarter-sized hail isn’t out of the question. 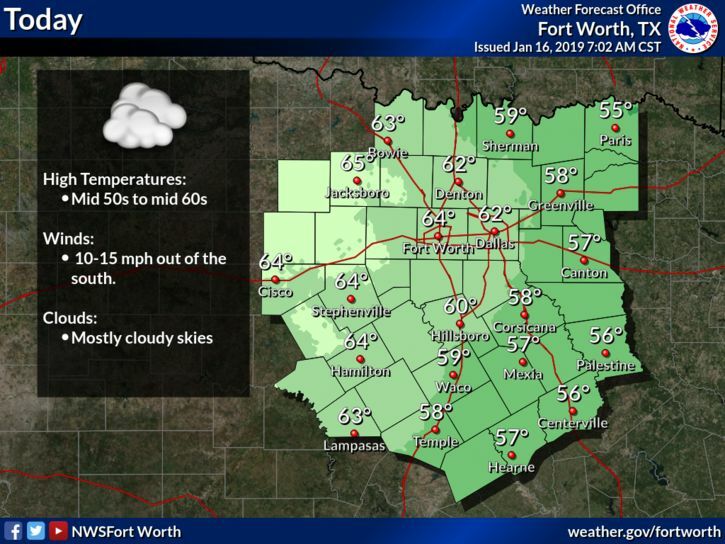 Temperatures will drop rapidly from northwest to southeast after midnight as an arctic front surges south into the area. 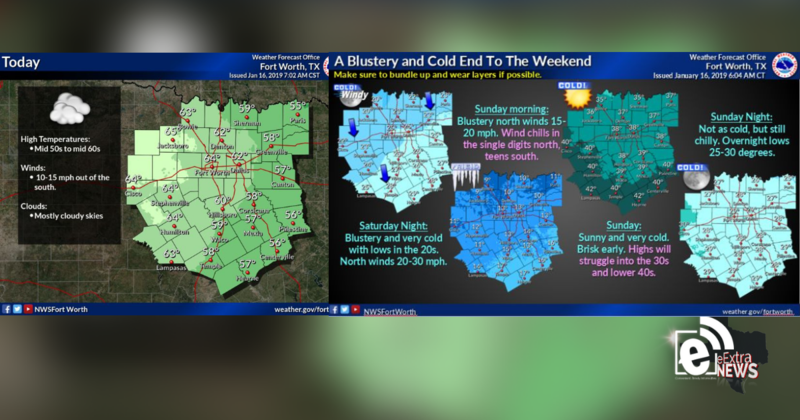 The weekend is full of winter with a strong early weekend system bringing blustery and very cold conditions Saturday night into Sunday morning. 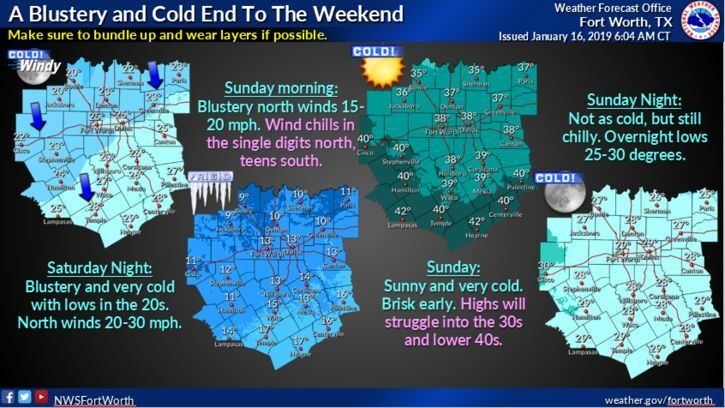 Lows falling through the 20s will combine with the gusty north winds for wind chills in the single digits north, teens south early Sunday morning.